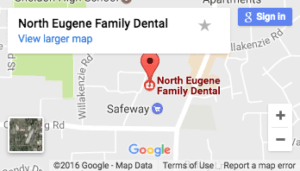 At North Eugene Family Dental, your family dentist in Eugene Oregon, we offer a wide range of Cosmetic Dentistry, Restorative Dentistry, and Preventative Dentistry services. Dr. Kirchmeier strives to be the best dentist Eugene has, and his friendly and professional staff place the comfort of every patient as their number one priority. Whether you need a kids dentist here in Eugene, or it’s time for those wisdom teeth to come out, North Eugene Family dental has the skills and training you can count on. We are committed to providing the Eugene community with very best in family dental care, and use the latests dental care technology to ensure that each visit to our office is a quick, comfortable, and convenient one. Call today to schedule your next dental appointment, and see for yourself first hand the North Eugene Family Dental difference. For your benefit we offer several payment and financing options at North Eugene Family Dental. We accept numerous major insurance plans and our experienced staff will gladly assist you in obtaining the maximum dental care benefits your plan provides. Contact us at 541-343-5512 with any questions you may have about insurance or financial options. In addition to insurance benefits, we accept the following credit cards: Visa, MasterCard, and Discover card. Short and long-term financing with no to low interest rates is also available through Care Credit. 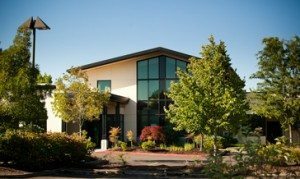 As a premier dentist in Eugene OR, Dr. Kirchmeier, and his staff utilize the latest in technology to enhance the quality and comfort of your dental care. From the finest cosmetic dentistry Eugene has to offer, to our Preventative Dentistry and Restorative Dentistry tools, you can be sure you are getting top-notch care. 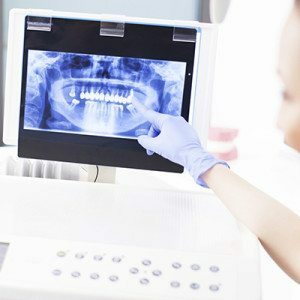 Digital imaging enables us to see beyond what can generally be detected during a visual exam, allowing us to identify cavities in between your teeth, determine bone level, and analyze the health of your bone. Dr. Kirchmeier can also examine the roots and nerves of teeth, diagnose lesions such as cysts or tumors, and assess damage when trauma occurs. Timing of dental care x-rays is tailored specifically to each patient’s needs. With digital imaging, exposure time is about 50% less when compared to traditional dental care methods. Digital imaging also provides patient images that can be quickly and easily transferred to specialists or insurance companies.